A group of teenagers go to spend time in a house near Camp Crystal Lake. Naturally, they enter the territory of the deadly Jason, who will decimate them one after the others. 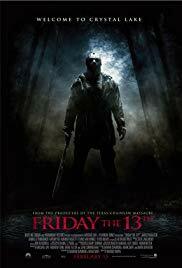 This 2009’s Friday the 13th film is neither a remake of the original one, neither a sequel but instead a condensed remake of the three first movies of the franchise. 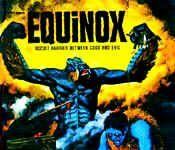 It takes all the elements that we discovered in these films and mixes them in one big Hollywood blend. The director, Marcus Nispel, is the one responsible for the decent 2003’s remake of Texas Chainsaw Massacre. Unfortunately, his remake of Friday the 13th is simply not as good. The characters and the story are as lame as it gets. In that, it is very similar to the original films but whereas the first three Friday the 13th introduced great twists in the story, this remake/sequel contents itself with plain teenager slaughtering. The look of Jason is great, massive and violent. His characteristic brutality has been respected, but the almost primal aspect of his killing is gone. Jason is here a methodic killer who uses bows and other complex weaponry, something that I found absolutely inappropriate.